In today’s digital age mobile has taken over a maximum portion of our lives and WhatsApp consumes the most of it. 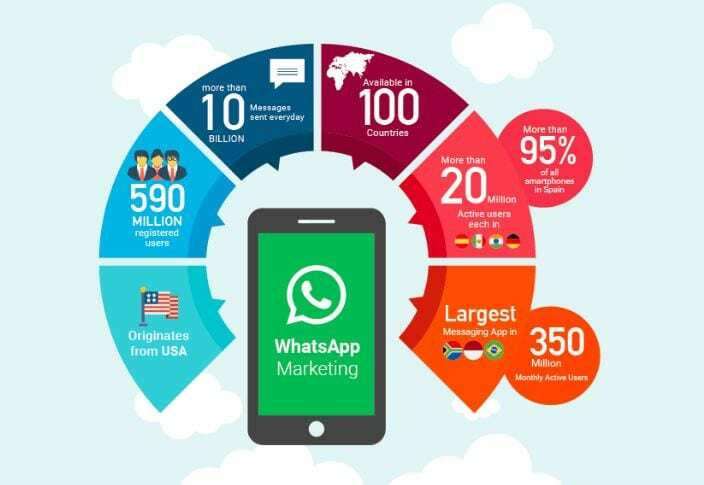 WhatsApp has more than 1 billion user’s worldwide and acquiring new users every day. 1 out of 7 people on this planet access and are connected via this easy to use mobile messaging app. The number of active WhatsApp users in India is approximately 5 crores. India has the highest number of WhatsApp users in the world and these numbers are growing fast as this figure is still more or less half of the number of Facebook users in India. Approximately 75 out of 100 users who have installed WhatsApp use the app daily. WhatsApp has the highest app engagement even more than that of Facebook. 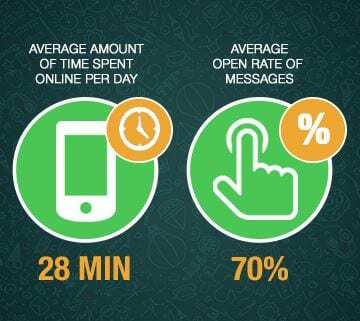 A user approximately spends about 3 and half hours on WhatsApp weekly. The value of each WhatsApp user is estimated at approximately INR 2500/-. 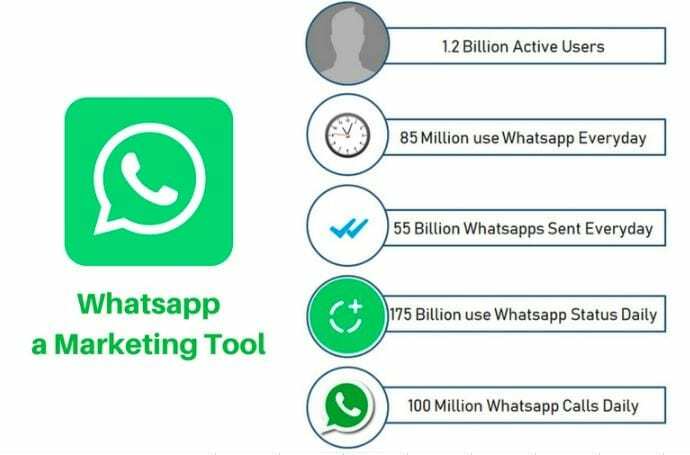 WhatsApp is branded as ‘No ads, No games, No gimmicks.’ So then how best can marketers tap into this network of millions? WhatsApp is predominantly the most active mobile app used to interact with family, friends and business contacts. 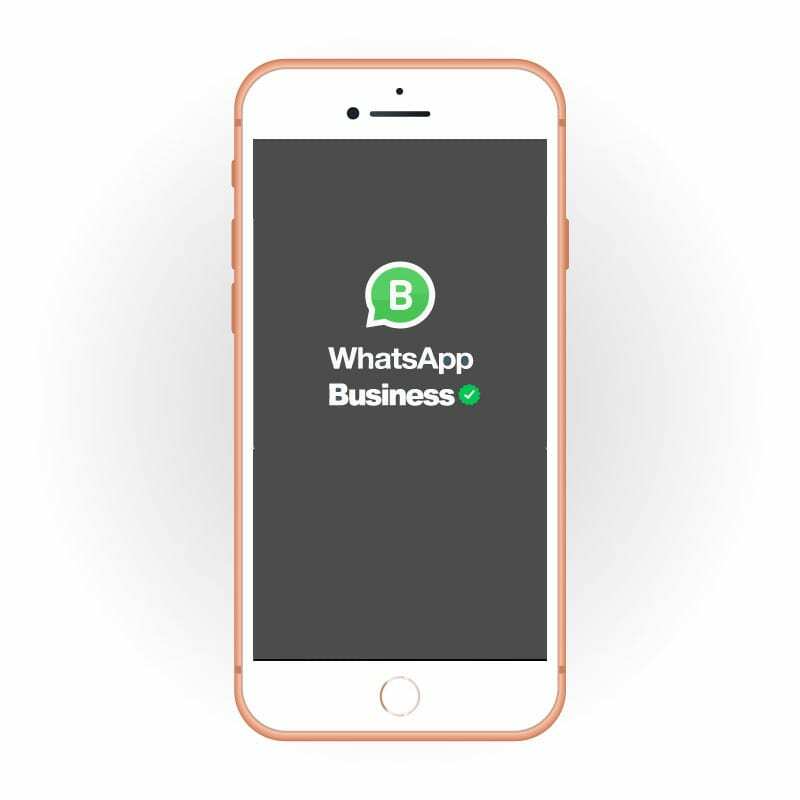 WhatsApp is turning out to be a great avenue for small business owners to interact with their current clients and also in acquiring new customers. However, according to WhatsApp’s Legal Terms one cannot use the WhatsApp platform to post advertisements. 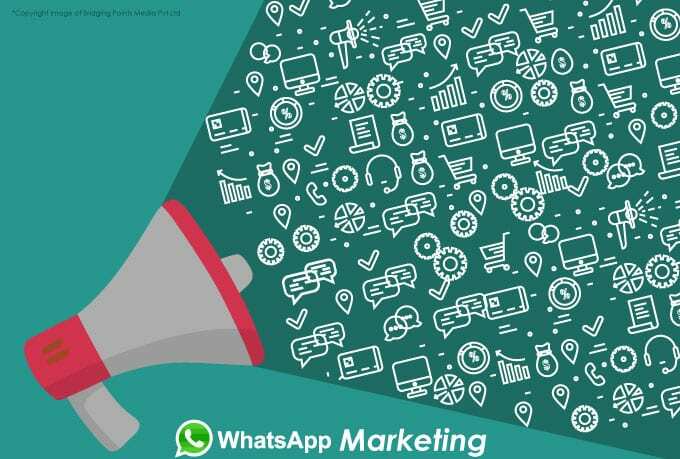 Since there are no WhatsApp Ads as WhatsApp does not allow advertising on its platform, marketers have devised ways to reach to their business contacts through third party applications, scripts, softwares and through web based panels. WhatsApp enables sending of bulk messages with unlimited characters along with images and/or videos, audios and vCards. WhatsApp further serves as a CRM tool where the customers can have their queries addressed quickly by the customer service cell. WhatsApp apart from being a professional and effective platform to communicate with potential customers is also helpful in creating a loyalty program. Many stores are using WhatsApp to answer pre-sales queries of potential customers and also to provide valuable after-sales service. 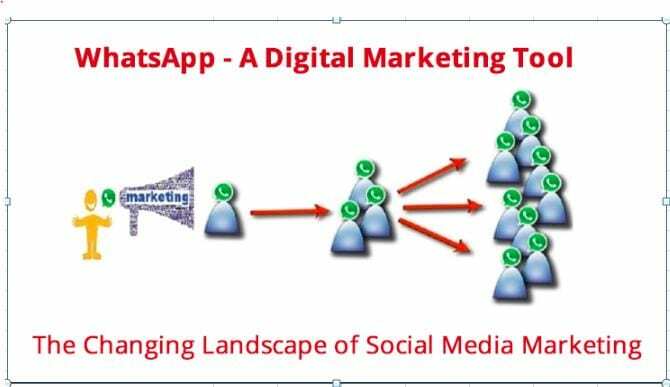 Businesses need to understand the dos and don’ts of WhatsApp marketing and how they can leverage this wonderful platform for customer liaisons and growth. Businesses sure can benefit immensely by utilizing the most responsive marketing medium available to reach potential customers right on their mobile phones.